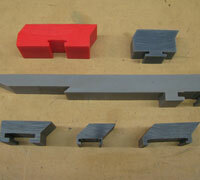 These parts are constructed from virgin UHMW-PE. 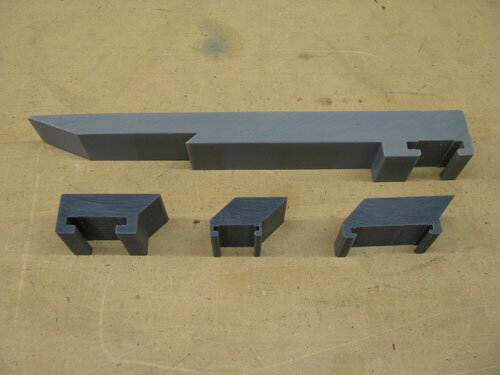 A small amount of molybdenum disulfide is added to this material prior to the extrusion process to reduce the products' friction. 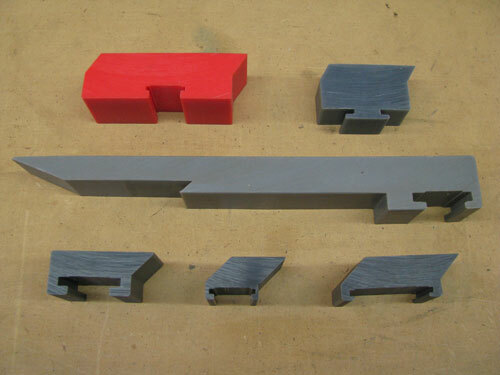 In addition, our experienced technicians take critical t-bar measurements before fabrication. 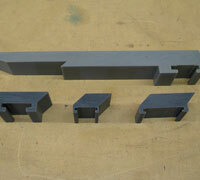 These measurements ensure that all drainage elements slide onto the table with ease, but still possess a secure fit.